Meet Mare, a World War II veteran and a grandmother like no other. She was once a willful teenager who escaped her less than perfect life in the deep South and lied about her age to join the African American Battalion of the Women’s Army Corps. Now she is driving her granddaughters—two willful teenagers in their own rite—on a cross-country road trip. The girls are initially skeptical of Mare’s flippy wigs and stilletos, but they soon find themselves entranced by the story she has to tell, and readers will be too. How did I get this book: The Wonderful Jodie from Book Gazing and Lady Business lent me her copy. THANK YOU, JODIE! Why did I read this book: A few months ago, I read and loved Flygirl. When I reviewed it, a few people told me about Mare’s War, a similar book about the same period and I just had to read it. At the end of the last year, I watched a documentary on BBC4 called Spitfire Women which highlighted women who wanted to be a more effective part of the War effort in England during World War II and became part of the Air Transport Auxiliary by flying aircrafts to the frontline RAF. I was so enthralled by their stories that I went in search for more stories like that and about women during the Second World War and came across a YA book called Flygirl by Sherri L. Smith. The book was about a young African American girl with a passion for flying and whose skin colour was light enough to allow her to “pass” as white and join the Women’s Airforce Service Pilots (WASP) in the US. I loved that book completely and when I was told that Mare’s War had a similar story, I knew I had to read it. I’ve had this book in my hands for months now and I can’t explain why it took me so long to read it but I am glad I finally did because it is as good as Flygirl, although in different ways. Sisters Octavia and Tali are supposed to spend their summer with their grandmother Mare on a road trip to a family reunion. The girls are not exactly happy about it not only because they had other plans for the summer but also because their grandmother is so…un-grandmotherly with her fake nails, bad smoking habits, bossiness and bad driving. But their parents give them no option and off they go. The narrative alternates between NOW and THEN. The NOW chapters are from the point of view of the youngest girl, Octavia and it deals with the present road trip, with the relationship between the sisters and their relationship with their grandmother, parents and friends. The THEN chapters are from Mare’s point of view in a first person narrative in present tense which effectively transports the reader back in time (as opposed to having a “and then X happens” narrative) to follow Mare’s story: her growing up in rural Alabama with her mother and sister, the events that led to run away from home and join the Army during World War II when she was only 17. Mare’s War is a book about many things and it works on several levels. It is about families and relationships, about standing on one’s own two feet and it also deals with topics such as sexism and racism in a historical context – and the author does that in an interesting, enlightening way without being didactic or preachy. Being a fan of Contemporary YA, I thoroughly enjoyed the “now” narrative. Octavia’s voice is engaging as are her observations about the road trip, about her difficult relationship with her older sister, about the things that are hard for her to do (like driving or being more spontaneous) . At times her relationship with Tali reminded me of my relationship with my own younger sister therefore making the reading quite personal on that aspect. Although Tali doesn’t have a point of view per se, she does have a “voice” which is recorded via postcards to family and friends and those show a young teen girl in the midst of growing up with all that it entails (boyfriends, friends, wanting to have a more strong say in her own life, etc). I also like that via Octavia’s narrative we get to experience the two girls’ reactions to Mare’s story and it offers an interesting modern counterpoint. Although at times those reactions did sound a bit too naïve and because of that the two girls sometimes sounded younger than they were supposed to be. Now, as much as the “now” bits were enjoyable and engaging they had no chance against the awesomeness of the “then” parts. This is, after all, Mare’s book, Mare’s story. It was such an easy thing to fall in love with this character. It started with the way she carried herself in her life, always wanting more and to move away, far away from Alabama and because of her complete dedication to her younger sister Feen. The two grew up fatherless, with a mom who was quite strict and set in her own ways, too fond of drinking and of horrible men. It is one of those men who tries to get too friendly with the girls, and Mare takes upon herself to protect Feen at all costs, which she does and it is awesome (as it is terrible). The repercussions of that send Feen to live with relatives in Philadelphia, finally releasing Mare to follow her own path, which she does by joining the army. Here is where the story really gets going and is what makes the book outstanding. 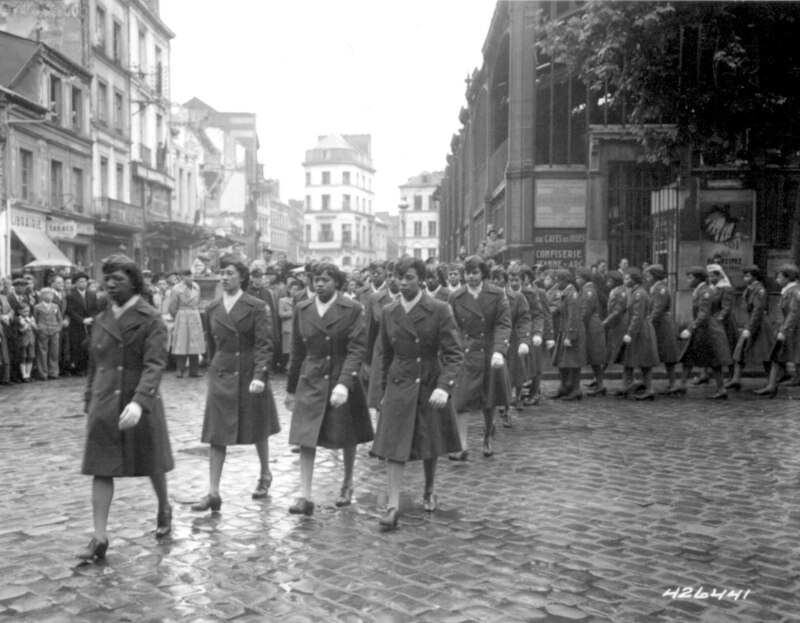 Furthermore, the 6888th battalion faced a different battle: of also of being African American soldiers in a predominantly white world facing all sort of discrimination but also – and I think this is so important: glimpsed what the world could be like with the constraints of segregation especially when they got to be sent abroad. One of the things that moved the most is how each and every woman in the book deals with segregation and racism in different ways but all of them had to some extent or another this terrible, ingrained acceptance of how things “are”. It is in the way they all queued in the “coloured” only drinking fountain in the army’s compound even when the fountain for whites had no queue at all. Or how even Mare cringed and felt fear when seeing a white girl dating a black man at an English pub (this particular scene has repercussions which were terrible and yet so sadly realistic). Or how they were treated as second class citizens and expected to do things that would not be expected from white soldiers. I could go on and on but will stop at this: sometimes it is great to read books about characters and how they change when they go through their story arcs. But sometimes there are those books and stories in which characters do not really undergo change inasmuch they undergo reinforcement of who they are: I believe this is Mare’s case. A character that is so full of life, of determination, of ambition. It is the sort of unique character that helps changing the world and not the other way around. I mentioned earlier that I thought that Mare’s War was as good as Flygirl but in different ways. I think the main difference lies in the focus of the story. 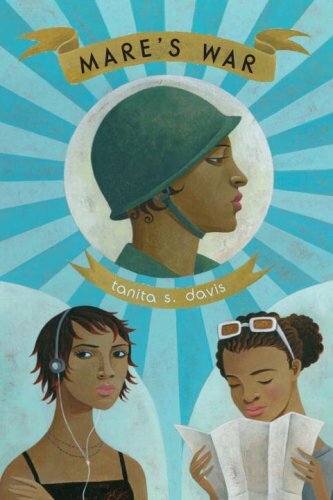 Even though both books follow strong, determined women that have joined the army/air forces, each protagonist has her own motivation for doing so and although both deal with gender roles and racism really well, Flygirl focuses more on the first whereas Mare’s War focuses on the latter. 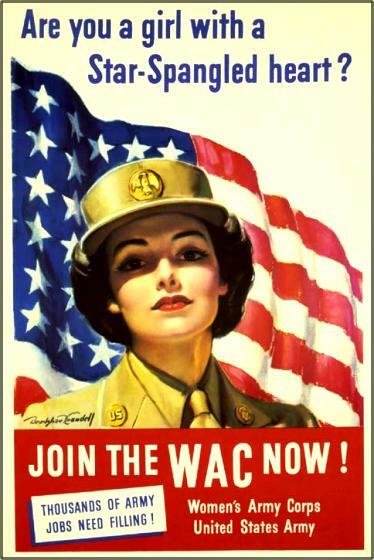 If you have any interest in this part of history and the roles that women played during the WWII, I highly, highly recommend both Flygirl and Mare’s War as a starting point. It’s just a sporty red car parked across our driveway, but when I see it, my stomach plummets. It’s my grandmother. Already, I hate this summer. Usually, I laze around with my best friends, Eremasi and Rye, for the first few weeks until it’s too late to get a job and then find a babysitting gig or two to keep my parents happy, but this year, my parents jumped in and planned my summer for me. Yesterday was the last day of school. Last night, Mom pulled out the suitcases and made us pack. We’re going to some kind of a reunion–with my grandmother. Today. My grandmother isn’t at all normal. She doesn’t read mystery novels, or sing in a church choir, or knit, or sew. She doesn’t do the Jumbles in the newspaper, and she hates crosswords. She isn’t at all soft or plump, doesn’t smell like cinnamon, pumpkin bread, or oatmeal cookies. My grandmother, Ms. Marey Lee Boylen, is not the cookie type. My grandmother has long, fake nails and a croaky hoarse drawl, and she’s always holding a long, skinny cigarette–unlit, otherwise my dad will have a fit–between her fingers. She’s loud and bossy and she drinks bourbon with lemon juice at dinner. She has a low-slung red coupe, and Dad says she drives like a bat out of hell. She’s almost eighty, and she still lives by herself in a town house stuck on a cliff near the Golden Gate Bridge. She takes the bus so she can avoid parking tickets and walks everywhere else on strappy high-heeled sandals. Our journalism teacher, Ms. Crase, would say that my grandmother is colorful, like somebody from a book. I say my grandmother is scary, mostly because I never know what she’s going to do next. She talks to strangers. She asks questions–totally nosy ones–as if just because she’s old, she can afford to be rude. She says what she thinks, she changes her mind every five minutes, and she laughs at me–a lot. She and I are completely different types of people. I like predictability. I like maps, dictionaries, and directions. I like lists of things to do, knowing the answer, and seeing how everything fits. My grandmother is definitely one of those people who thrive on chaos and instability. She’s what my mother calls a free spirit and what I call completely random. Additional Thoughts: Today we are celebrating Diversity in YA – come back later for a guest post by Francisco Stork and a giveaway. Yay! I’m really glad you enjoyed it. The part where a soldier is requested to look about a higher ups kids really bit didn’t it? It made me think of ‘The Help’ and wonder if any of the women Mare served with went back to a life of looking after rich white kids. The more I think about this book (and compare it with ‘Flygirl’ and for some reason ‘Ten Cents a Dance’) the more interesting I find the fact that these historical stories revolve around all female communities. The all girl novel (and I know there are guys in those three books, but the majority of the important characters are women) is not something I really associate with historical fiction. Historical fiction is so often all about the guys who shaped history, or the one woman who broke free from constraints. Is it a new trend? Will it eventually extend into contemporary novels? Thank you for this excellent review, and I will definitely be checking this out. About the photo: What strikes me is that every single one of these women is marching with her eyes down. For some reason the defensiveness of that is really moving to me. This book sounds really interesting; I think I need to add it to my ever expanding list of books to read. If you’re interested in ATA girls, you should read Code Name Verity by Elizabeth Wein as soon as it comes out next spring. I was a lucky beta-reader and it is fantastic. 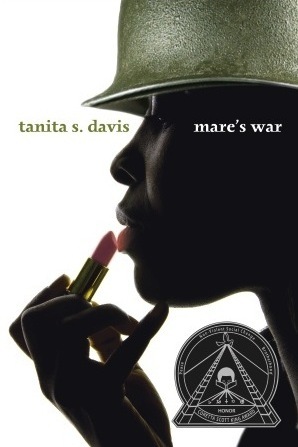 This review has been linked to by the author’s site: http://tanitasdavis.com/news.shtml#marereviews. I love the cover on the right, it’s so striking and lovely. I’ve had Mare’s War on my radar for awhile, but I think I may take the plunge and get this on my kindle. You make good points there, I hadn’t thought about it like that but yes, maybe we are going to see more of this? @Aoife – I hope you enjoy the book. And yes, the photo is striking in many ways. @Tori – someone else had brough Code Name Verity to my attention before and i have been on the lookout! Can’t wait. @April: The new cover is AWESOME, right?? I think they got it so right – and hopefully it will help more people reading this! Well, now I want to read both Flygirl and this book! Good review!